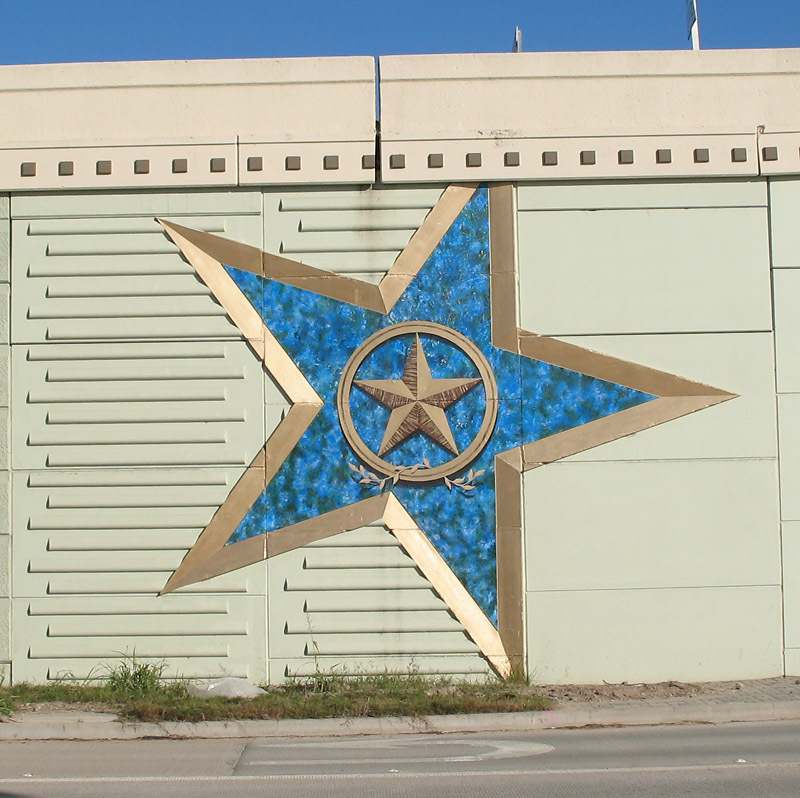 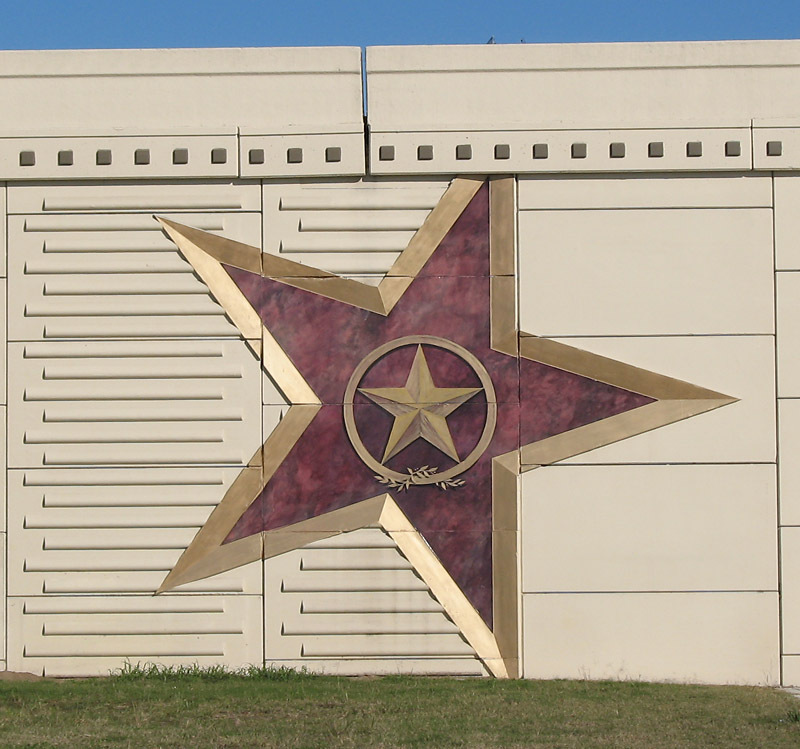 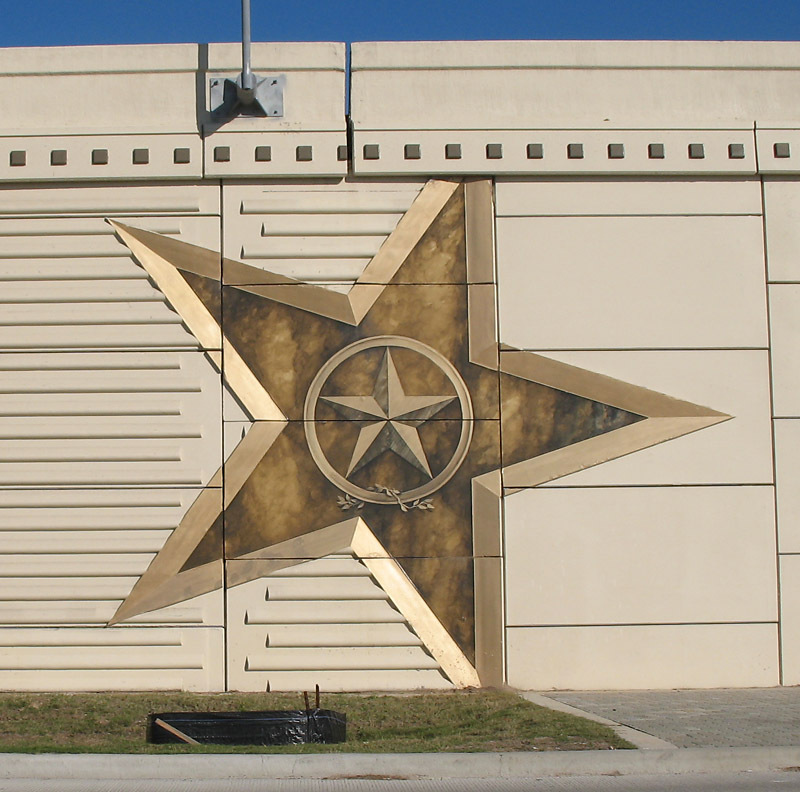 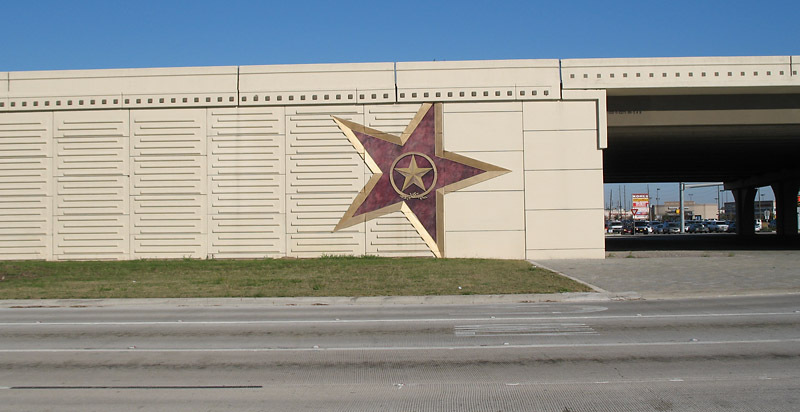 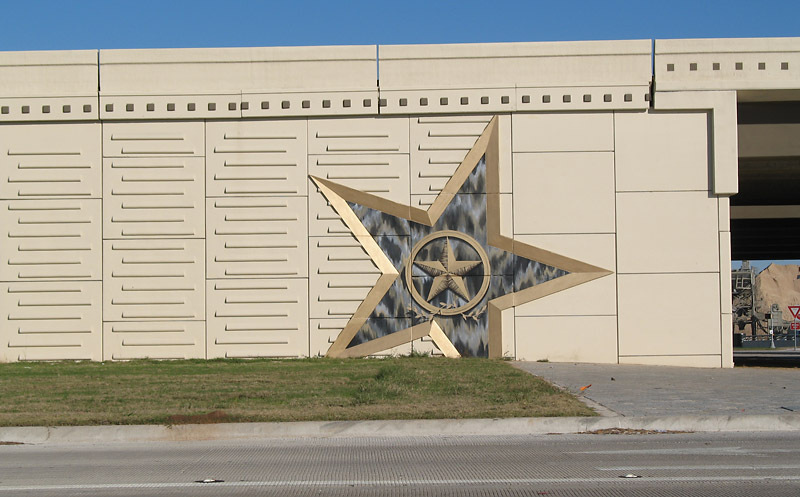 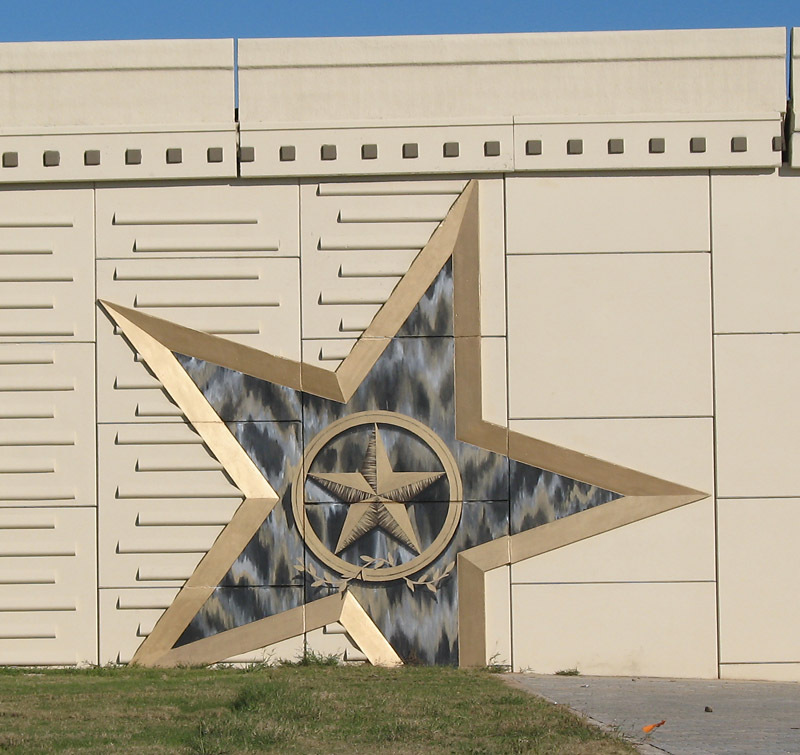 The Katy Freeway construction is now complete west of SH 6 and the final finishing touches include the artistic stars at intersections. 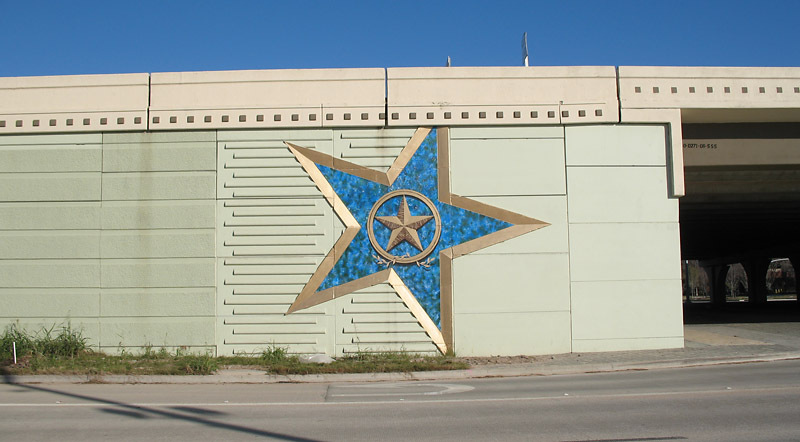 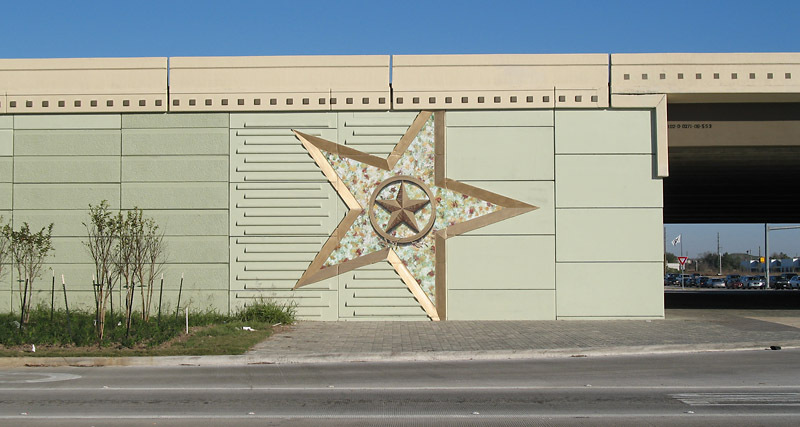 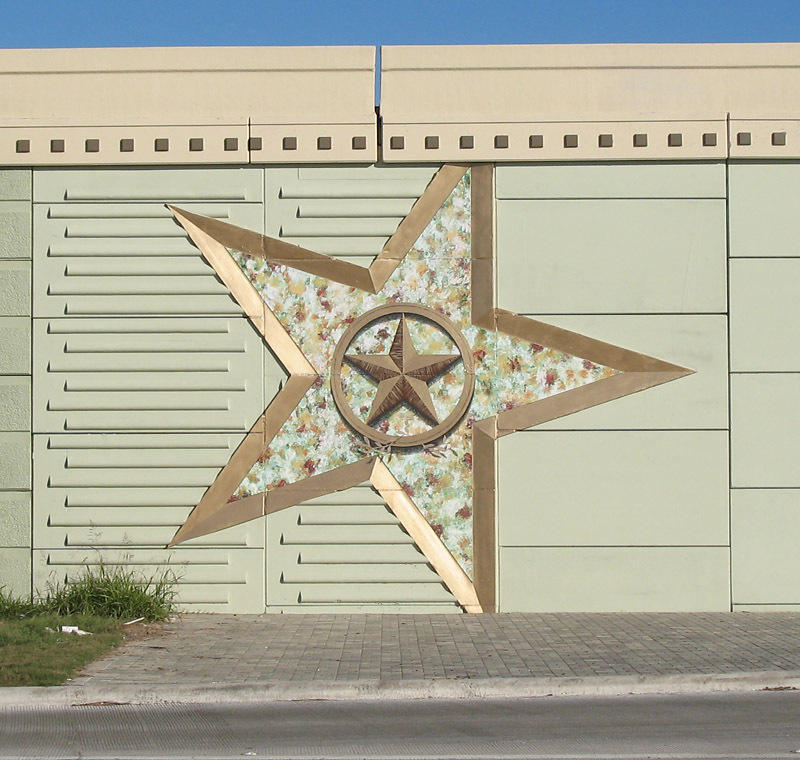 Each intersection has a unique star design. 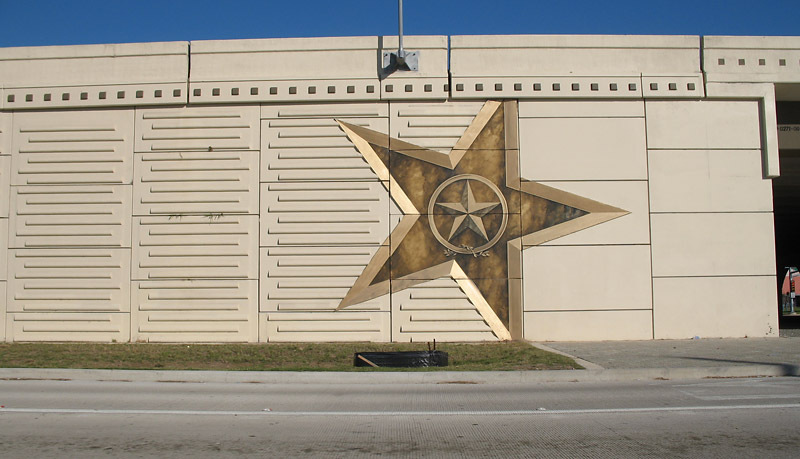 I'm expecting the section east of SH 6 to have even more impressive enhancements. 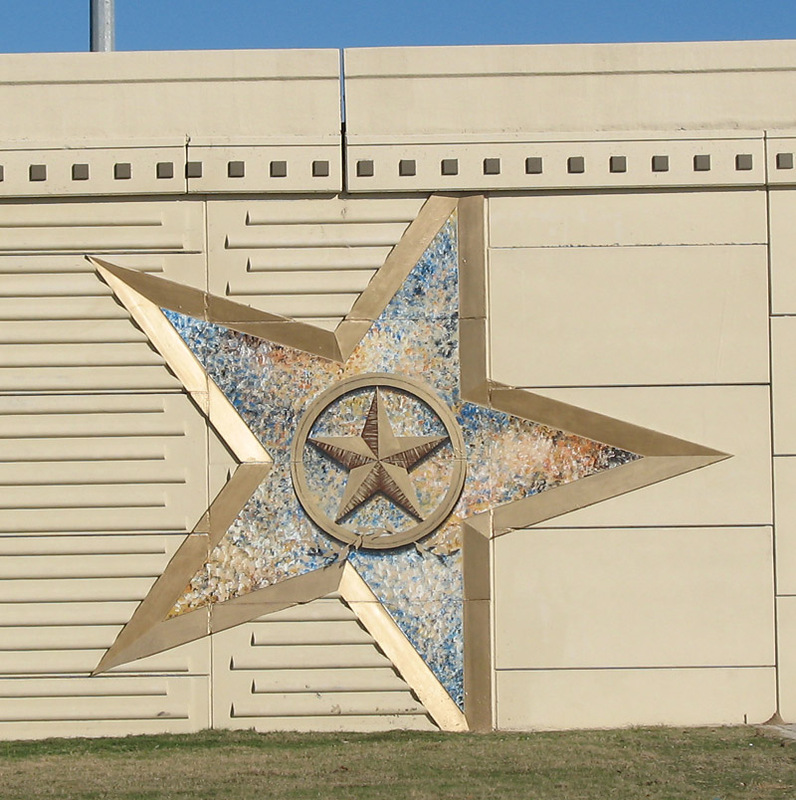 This is how the stars are positioned relative to the overpasses.